So the holiday season is upon us. From too much food to lack of sleep, our bodies could use a little help. The question becomes, which products will work for you. Do you need a great vitamin shake to start your day? Maybe a protein bar makes a good on-the-go lunch. Still don't you want to try different brands and types before you have a box of products sitting in the pantry (because you won't eat it). 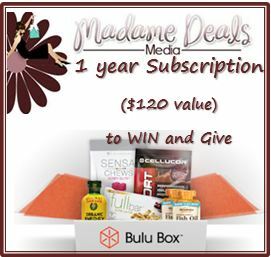 1 year Gift Subscription ($120 value) AND a 1 year subscription ($120 value)… winner will get a 1 year subscription and can give a 1 year subscription to a friend. 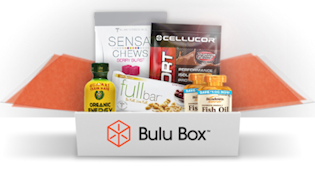 Perfect Giveaway right before the Holidays..you have a gift to give a friend!! The Giveaway will open up on 11/28 at 12:01 am EST and Close on 12/12 at 11:59 pm EST. Enter via the Rafflecopter below. Good Luck! Disclosure: Blogs are not responsible for prize fulfillment. Sponsor will be sending the prize. Winning entrant will be emailed and be given 48 hours to respond before another reader is chosen. Giveaway is open to US residents only. Complete giveaway terms and conditions.